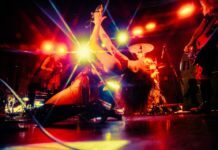 After a terrible break up, musicians usually try to distance themselves from their old band by creating something completely unexpected with their next project. 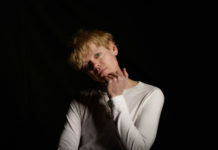 Not so with Will Salazar, who seems to believe in sticking to what he does best: poppy, punky rock. Denver Harbor is not at all a departure from Salazar’s last band, as any song off of Scenic would not seem out of place on one of Fenix TX’s albums. 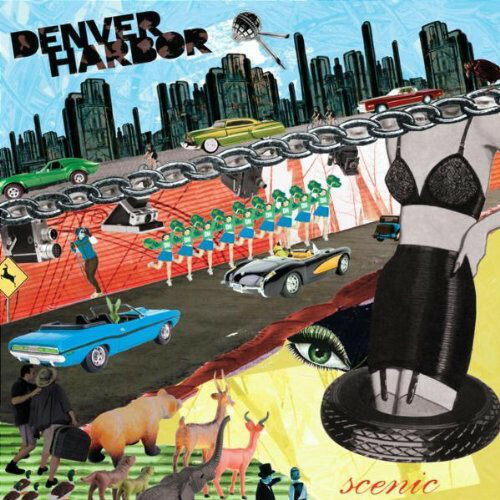 Unfortunately for Denver Harbor, it is no longer 1999; this album seems out of place in today’s rock scene dominated by moody epics, the brilliantly unexpected, and a punk rock opera. However, this album is an enjoyable throwback to the simple days when punchy and catchy songs were more important than heartfelt emotions and haircuts. While nearly all of the tracks here will cling to your head like musical Saran Wrap, “Picture Perfect Wannabe” in particular is a mercilessly catchy highlight. It’s fitting that it’s followed by “Outta My Head,” in which the chorus repeats “…I can’t seem to get you outta my head / I’m never gonna get you outta my head.” It would become irritating if it weren’t for the heavy, crunchy guitars, Ilan Rubin’s amazing beyond his 15 years drumming, and Salazar’s voice, which manages to be soothing and powerful, mellow and menacingly loud. “The Ride” and “Twenty Seven” also stand out as great, unpredictable songs, mixing it up with different influences and structures. Denver Harbor are talented musicians with the rare ability to make memorable and intriguing yet simple rock songs. The music comes off as breezy and effortless, but a closer listen reveals real musicianship. While the lyrics lack the extreme emotion and poetic qualities that listeners are used to right now, it’s very easy to forget when you’re singing along. 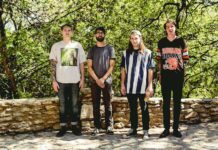 The appeal in Denver Harbor’s music is more universal; the songs are fun enough for old Fenix TX fans, melodic enough for pop fans, and hard enough for picky rock fans. There’s nothing new here, but sometimes taking the scenic route isn’t such a bad idea.